At Musulman Roofing, we understand what a tremendous undertaking it can be to build or replace a roof. Our durable roof materials and components enhance and protect your home in ways no other roofing company can match. What’s more, you’ll continue to see savings from a roof installed by Musulman Roofing; through reduced cooling costs, potentially higher resale value and possible reduced homeowner’s insurance premiums. We’ve worked hard to become the first choice for Southern California Roofing needs. With many quality manufactures warrantees, we strive to deliver the products you require to improve your home’s design and protection. At Musulman Roofing, we strive to maintain high standards of excellence to ensure each project’s successful completion. Because of our customers, we exist. 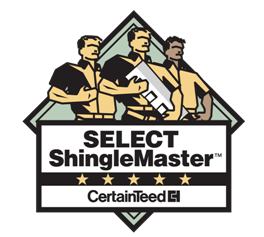 Musulman Roofing is a Factory certified Master Elite GAF Roofing Contractor, a CertainTeed Select Shingle Master Contractor and a Owens Corning Preferred Contractor. These certifications represent that we are fully licensed in California, a proven reputation, committed to continuing our education and services, have the highest standards of excellence, quality and knowledge in the roofing industry. Call for a free estimate, and visit our unique Southern California Roofing Showroom we have many displays and samples to choose from.